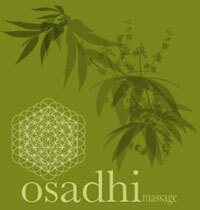 Osadhi means literally a receptacle or mind, dhi, in which there is burning transformation, osa. In the Vedas this can mean not only plants but all entities in creation. It also means 'she who is the bearer of balm and comfort' and is also a poetic name for the Morning Star, the Star of Healing. 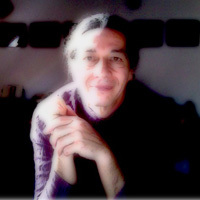 Osadhi is Federico Garcia, a masseur/bodyworker and Reconnective Healing® practitioner originated at the École de Formation de Thérapeutes en Massages Traditionnels Atlantide in Lasne, Belgium. As a masseur/bodyworker Federico has an effective experience in Belgium, both Brussels and Lasne, Germany and Austria. In 2011 in Bruges, Belgium Federico became a Reconnective Healing® practitioner, after following a deep seminar organized by Dr. Eric Pearl and The Reconnection® team. back pains, chronic headaches and sore muscles. his hands, hammer and chissels!. On the sports side I am a former Marathon Runner (Ciudad de Mexico, Helsinki, Stockholm, New York, Amsterdam, Wachau and Brussels Marathons are in my legs and heart memories) and Triathlete (countless Olympic distance International triathlons), with 50 years on my vessel I am an avid cyclist and swimmer and long distance bicyclist, I have crossed Norway, Mexico, Australia, New Zealand, Italy, France and Austria some years ago, and in 2013 I cycled 17000 kms from Ushuaia in Tierra del Fuego to Cancun in Mexico, and only the Universe knows when I will stop..
That said, when you look for Osadhi's massage/bodywork for a sport massage session you are in good hands with a sound experience as a masseur/bodyworker and a sports lover. The sore and sometimes tired muscles of professional football soccer players (e.g. the Gabon national team's captain), female and male marathon runners and cyclists have met release and relaxation through my hands.